There are currently 24 hours a week of cookery programmes on UK TV. If you are not watching Nigel Slater down on the farm then there is MasterChef: The Professionals or The Mary Berry Story or Nigella's Christmas Kitchen, to name but a few. Likewise, Christmas brings out all manner of culinary publications to stuff our bookshops, with about 100 books on food and wine released every year for the festive season. All the big names and many more of the smaller fry are there - Ramsay, Stein, Leigh, D'Acampo etc. Not to mention those new guys and gals, like Tom Kerridge, that have had their first TV show in 2013. It seems that cooking credentials mean nothing anymore - one series of 'The Great British Bake Off' and the winner writes a cookbook on 'How to Avoid a Soggy Bottom'. So it was with great interest that I read this week that chef Michel Roux Senior has said that today's cynical celebrity cooks are cashing in with terrible recipe books and too many TV shows. Roux Sr has shaped the nation's palate for more than 40 years with his recipes and dishes refined over time. His best selling cookbooks have guided amateur and professional chefs towards haute cuisine. But he claims that in doing so, he has created a 'greedy monster'. He is reported as having said that only one in ten of the cookbooks published each year are good and that only 50% should be published at all. ''One in two are rubbish and not worth the paper they're printed on'', says Roux. He is said to be frustrated at the younger TV personality-chefs delivering books to tie in with their latest series and asks how a chef at only 35, even if his is good, can write a cookery book. Michel thinks he knows nothing at that age, He has no experience and likens it to writing an autobiography at the age of 30. The book can only be a collection of recipes he has seen in other books or ideas gained from other people, claims the master chef. How true that is, Michel! 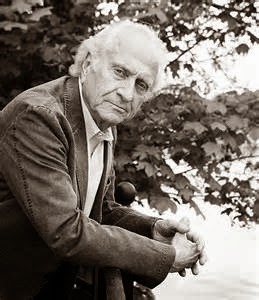 Michel Roux Sr was in his 40s when he wrote his first book. 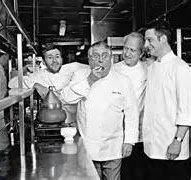 Along with his brother Albert, he transformed British food when they opened Le Gavroche in London in 1967. It was the first UK restaurant to earn a Michelin star. 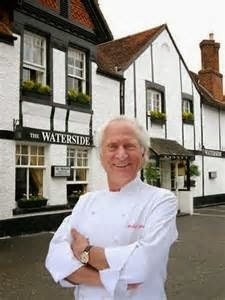 Later, they opened The Waterside Inn, which has now had three Michelin stars for 27 years. The brothers brought classic French cooking to a broader market. 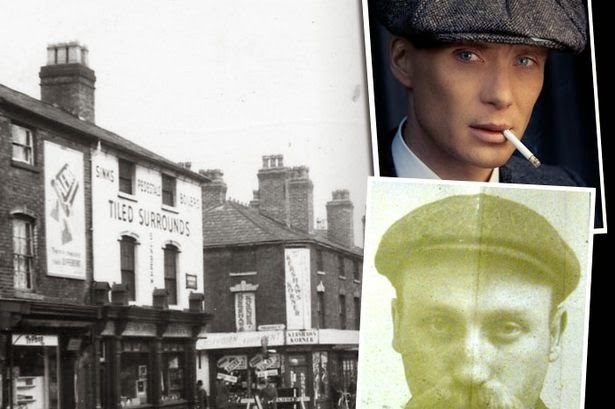 Their arrival heralded the start of a food revolution in the UK. The restaurant empire is now split between Michel and Albert's sons, Alain and Michel Jr. I read that Roux Sr complains that there are now too many cookery shows, books and get-rich-quick chefs and he thinks quality is suffering as a result. 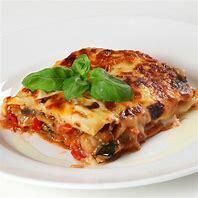 These chefs do not work on their recipes over time, often use ghost writers for their books, and have no creative control over the book's pictures and descriptions. But Michel concedes that while the boom in cookery shows has raised the profile of his profession, it's had drawbacks. People, he says, are not passionate about food and that young people are attracted by the TV shows and a wish to write cookbooks. Michel Roux's words are a breath of fresh air, at a time when we are easily brainwashed into thinking that TV chefs are 'kitchen gods' to be worshipped on the box for 24 hours a week, while their 'picture' books take up more and more of our already cluttered cooking space.